On the evening of Monday, April 3rd, NYC’s prominent philanthropists, as well as those involved in the arts, entertainment, and fashion came together at espace for Culture For One’s Fifth Annual Benefit which raised $290,000 to provide the under-served youth in NYC’s foster care system with access to the arts. 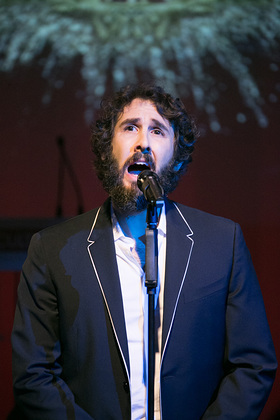 WABC news anchor Sade Baderinwa served as the emcee for the evening, which also included three riveting performances from Josh Groban and the cast of The Great Comet of 1812. Diana and Joe DiMenna were honored with the Culture For One Inspiration Award for arts and entertainment leadership and their dedication to the organization. 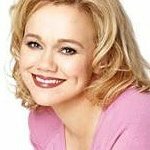 Comedian Caroline Rhea provided comic relief while raising additional funds for the silent auction that included top items such as a VIP concert package to attend Bruno Mars’ much-anticipated upcoming show, a Chuck Close self-portrait, and a photoshoot with legendary photographer Arthur Elgort and stylist to the stars Ann Caruso. Notable attendees included Alexandra Richards, Patti Hansen Richards, Caroline Rhea, stylist Ann Caruso, fashion designer Frederick Anderson, filmmaker Shruti Ganguly, Harold Koda, jewelry designer Joan B. Horning, Susan Clatworthy, Hofit Golan, and Susan Shin. The benefit chairs for evening included Jennifer Bandier & Neil Boyarsky, Patrice Bugelas-Brandt & Bill Brandt, Denise LeFrak Calicchio, Lenore & Bob Cohen, Janet & Howard Kagan, Shelley Lazar, Linn Tanzman & Sanford Rosen. In addition, the benefit committee for the evening was Jessica & Todd Aaron, Robin & John Abbott, Jenessa & Brent Banks, Julie Farmer & Scott Lazarus, Fran & Andrew Gelman, DO, Amy & Richard Goldman, Lorna Hyde Graev, Susan & Jason Kasarsky, Nancy Klein & Michael Brodman, MD, Lizzy & Bryce Markus, Carolyn Minick Mason, Randi Rossignol, Eileen Schein, Natasha Schlesinger, Pamela & Steven Sinderbrand, Kate & Shai Waisman, Nina Weinstein. Guests were inspired when Culture For One founder and executive director Linn Tanzman took the stage to tell the story of how the organization was founded. Throughout her career, Linn held multiple high-profile corporate positions in the music, media, beauty and fashion industries. One day, Linn began to feel her calling to work with children and as time went on, she began to think about her own “legacy,” realizing that she wanted to give back to the city that had served her so well. She left her corporate career to pursue this passion that spoke to her heart and soul. While volunteering with an organization that supported children living with HIV / AIDS, she learned about becoming an interim care provider to foster infants. Since 2009, Linn has fostered thirteen babies as a Spence-Chapin interim care provider. With time, she realized that those babies, who are on their way to their “forever families”, are the lucky ones. It is the children who spend time in foster care who are the most overlooked. This sparked the idea to take one foster child to a Broadway show, which made her realize that what most foster children need are genuine connections with adults that makes them feel valued and important opportunities to help with their development. Linn decided that although she was only one person, what she could offer local foster children was this type of connection through exposure to New York City’s vast cultural offerings, and thus Culture For One was born. Following Linn’s poignant speech, former foster youth and Culture For One participant Jahlika Hamilton brought the crowd to tears – and received a standing ovation with her deeply emotional recount of the positive impact that Culture For One has had on her life, and how the organization helped create new happy memories for help her overcome the hurt and many challenges she faced being in the foster care system.